PODCAST 1: Guess That Country! Can Maysson and Dylan "Guess that Country" with some quick facts about America, England, and Ireland? 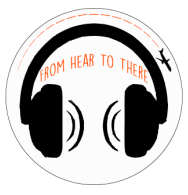 Listen to find out on this week's From Hear to There podcast! PODCAST 2: Guess That Band! 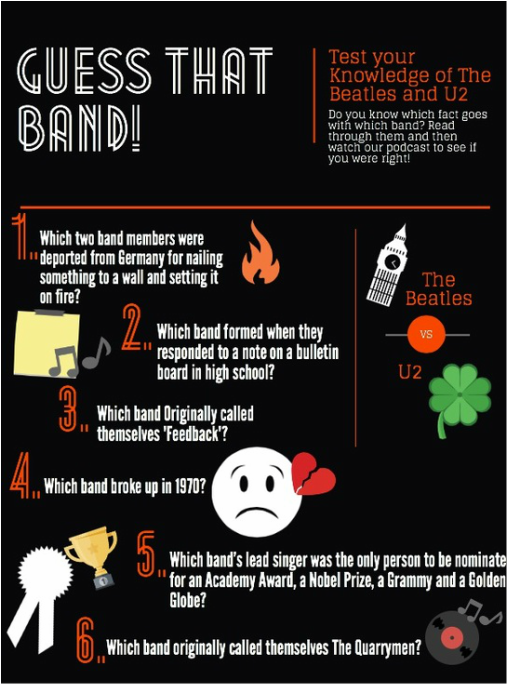 Join us for Guess That Band! Taylor and Megan are asked which fun fact belongs to the Beatles or U2. But first, test your knowledge with our short quiz!